The electronic cigarette vaporizer testimonials you'll find here serve the purpose of giving you perspective on how others are enjoying our products. We hope they help when making the decision if you're contemplating whether these products are right for you and your style of vaping. For more info on our company, starter kits, and accessories, have a look at our FAQ or contact customer service to chat directly with our friendly, experienced representatives! I’ve been a smoker since I was a teenager and I was looking for a cheap way of giving the old cancer sticks up for good. Nothing really worked for me until I came across vaping! I thought it was just for hipsters until I tried it for myself. Now I’m all over it and have given up the smokes for good! I’m so happy that I found out about VaporFi because their products are fantastic and now I can actually go out with friends and not have to leave them to go light up. I’ve been smoking the electronic ciggies for a few years now and I always struggled to find a decent supplier of e-liquids. They were either too rough on my throat or just didn’t taste too good. Finally, I’ve found a great company for all of the flavours I really like! 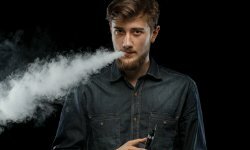 VaporFi has all sorts of cool flavours, and some that I’ve never even seen before, but want to try. I just wanted to say how happy I am I found VaporFi and all the cool vaping products they have. I decided a few months ago to give up smoking completely. It definitely wasn’t an easy decision to make, but the vaping options from VaporFi have really helped me get myself off the smokes. What I love the most is all of the flavours I can get from VaporFi. I’ve been vaping for a few years and I love it. It’s healthier for me and I can do things I could never do when I was smoking tobacco. It’s great! I can run around with the kids and no one cares now when I vape because the flavours I buy are really nice smelling. Thanks VaporFi. I hope you keep making all those flavours I like! I’m embarrassed to admit that I started smoking cigarettes when I was only 14. I would hide out in the girls’ toilets at secondary with my mates and we would all light up and have a few puffs before we had to get back to class! Pretty soon it became a habit and I was smoking a pack a day without even thinking about it. I came across VaporFi on the internet one day when I was looking for something else and I was totally gobsmacked! Once I had a starter kit sent out to me, I was pretty much hooked on vaping. It’s so much better than cigarettes and I’m really glad I found it. VaporFi is a really cool company. I never smoked cigarettes or anything, but I like how smooth vaping is and how the flavours just float in the air. It also just feels healthier and better than I think smoking would feel, even though I never tried it!